These 7" monitors can be fitted to most cars' headrests. They feature a colour LCD display, 3 A/V inputs, and built-in IR transmitter for Alpine headphones. 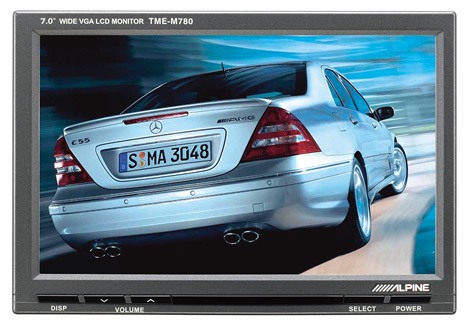 Call us for a PACK quote on a pair of these screens with headphones and a DVD player. Also available in a 5.8" size (TME-M680). These 9" LCD screens come pre-fitted into stylish headrests. They are made to order and are colour matched to your vehicle's interior upholstery trim. 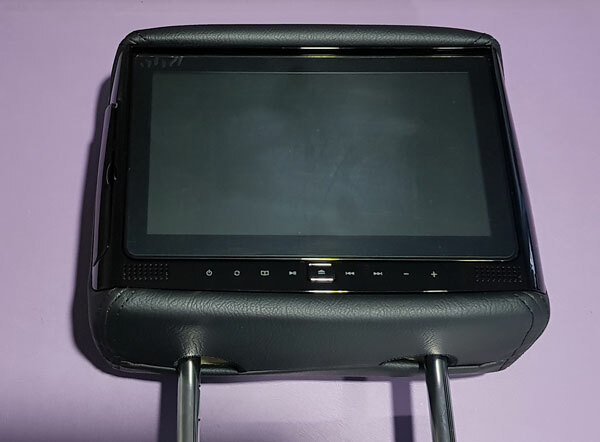 Each headrest contains a DVD player (in the headrest) enabling the user to view different movies on each screen (great for multiple passengers!) These also come with wireless headphones and support USB sticks and SD cards (up to 32GB), and come with a FM modulator. Each headrest has the DVD input under the flip-up screen. These headrests are also available as a "clip-on" verison for mounting to the back of your existing headrest should you have an active/airbag equipped headrest.